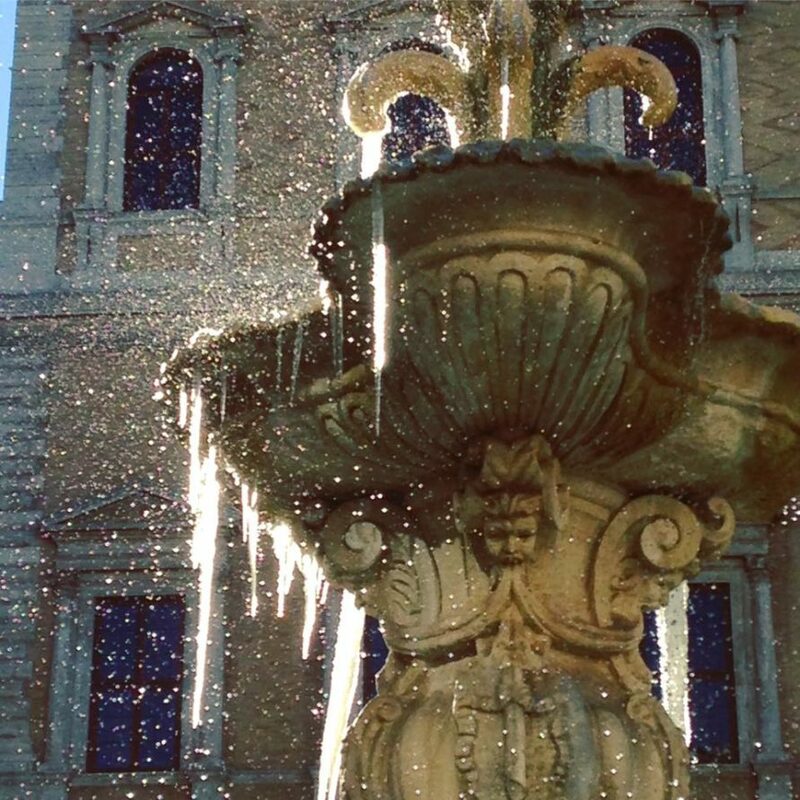 In January the days are clear, crisp light. 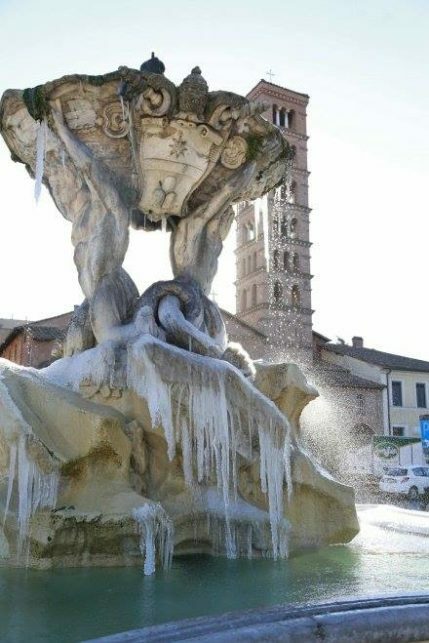 Hardly ever the temperature goes below freezing. 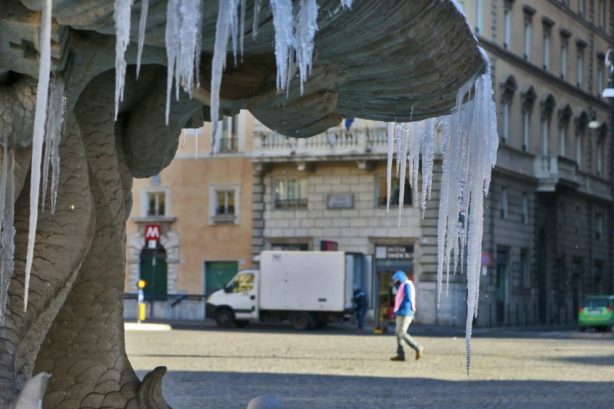 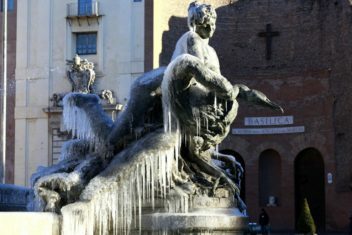 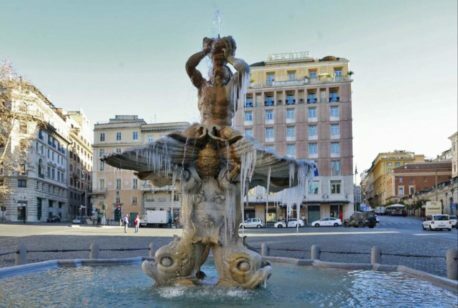 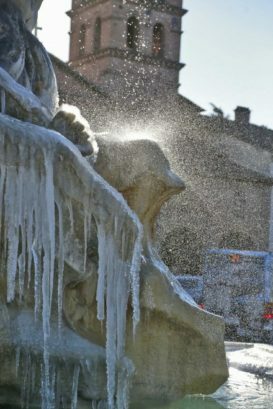 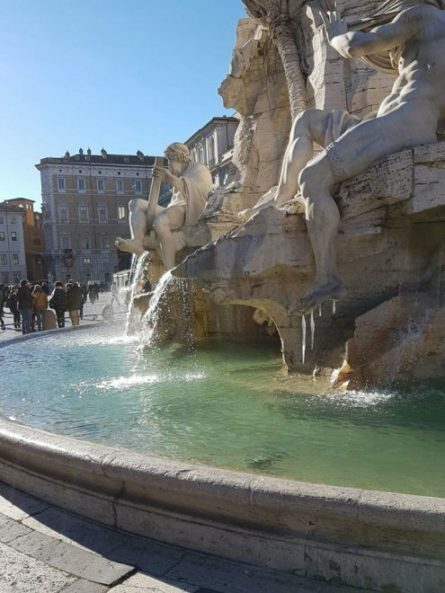 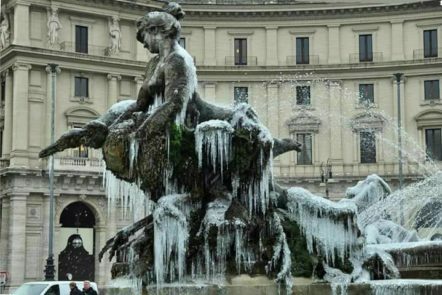 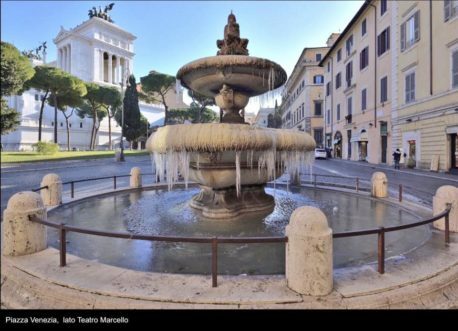 When it happens, the ice competes with its artists and the fountains of Rome are filled with joy!